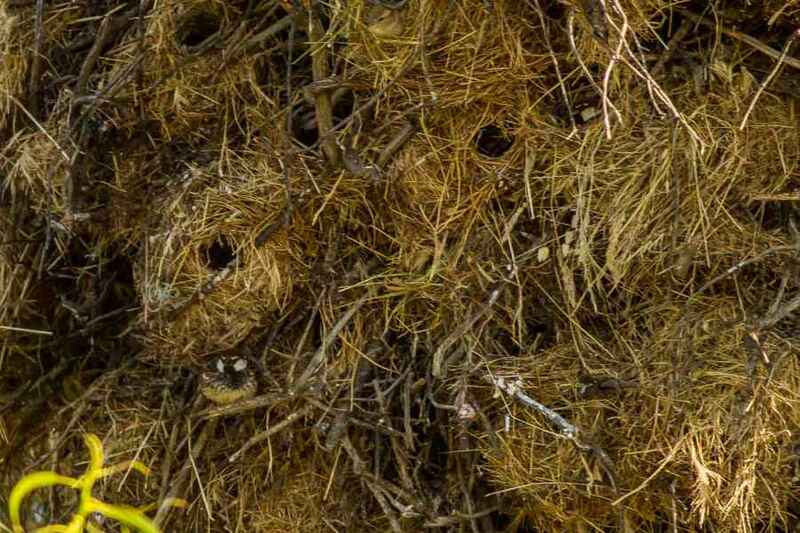 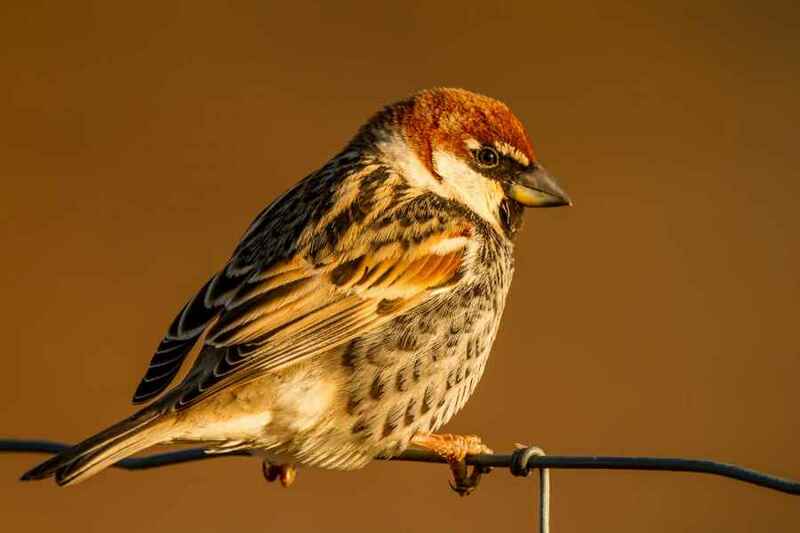 The Spanish Sparrow breeds both in large colonies, (where it'll take over a small wood with hundreds or thousands of nests), or it breeds in smaller colonies in the bottom of White Storks' nests. 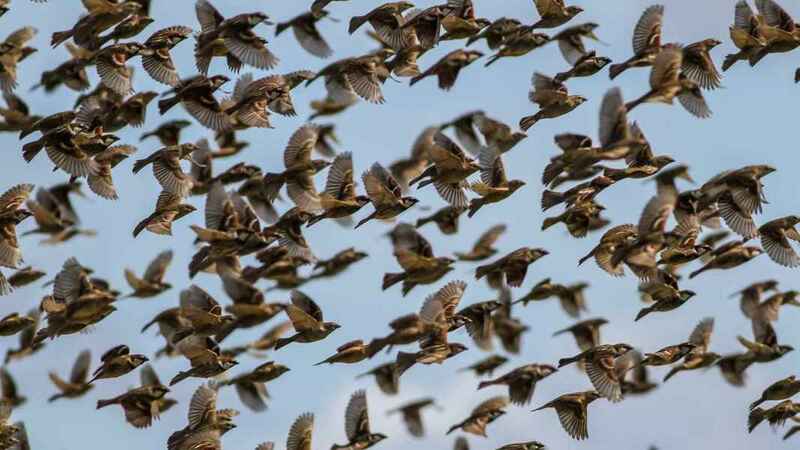 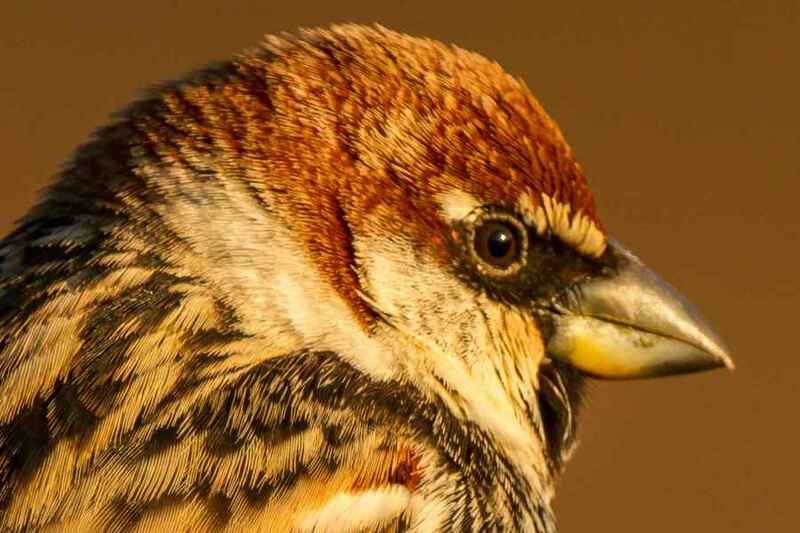 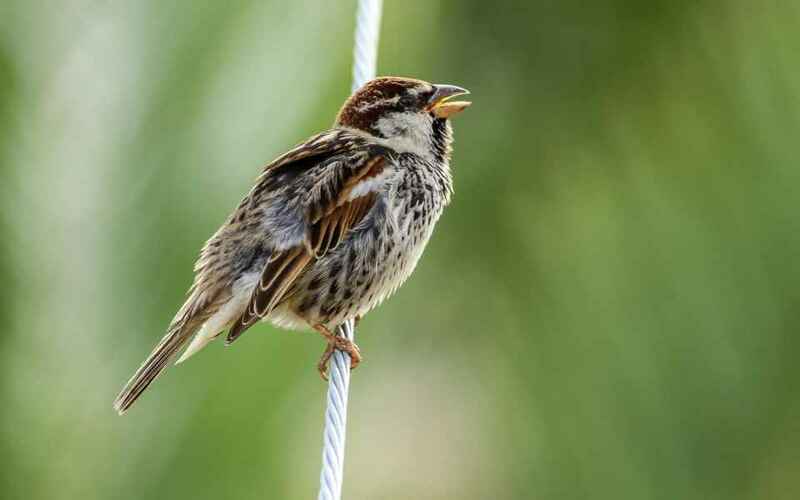 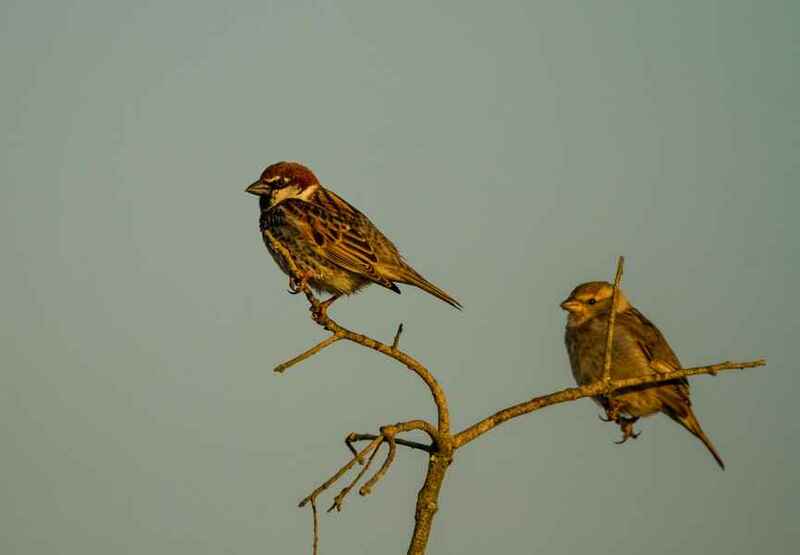 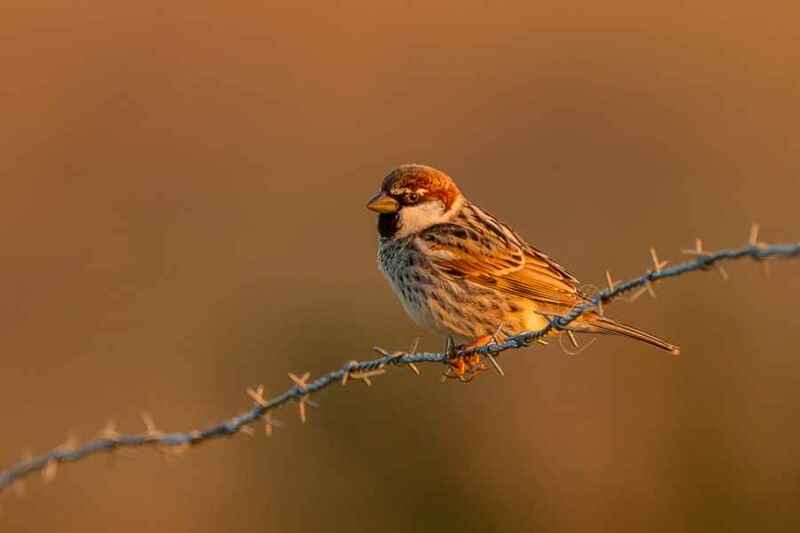 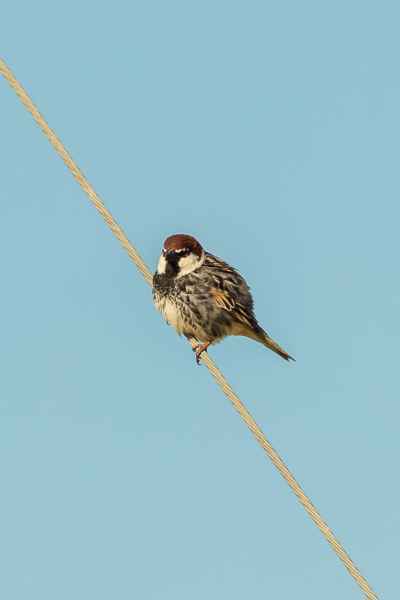 With the dramatic increase of the latter since the '80s, so the population of Spanish Sparrows has increased, though their preferred habitat, open countryside, remains the same, and there has been little expansion from their core areas. 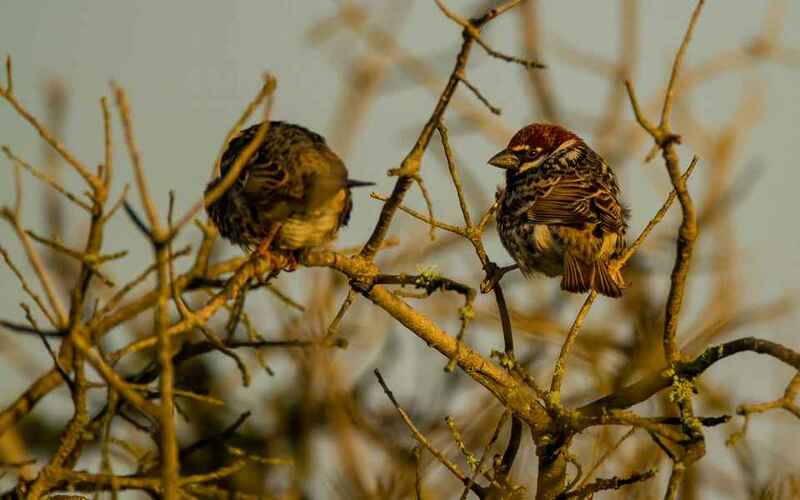 While the male is easily distinguished from the House Sparrow, having a pure chestnut head and streaked belly, the female is indistinguishable in the field. 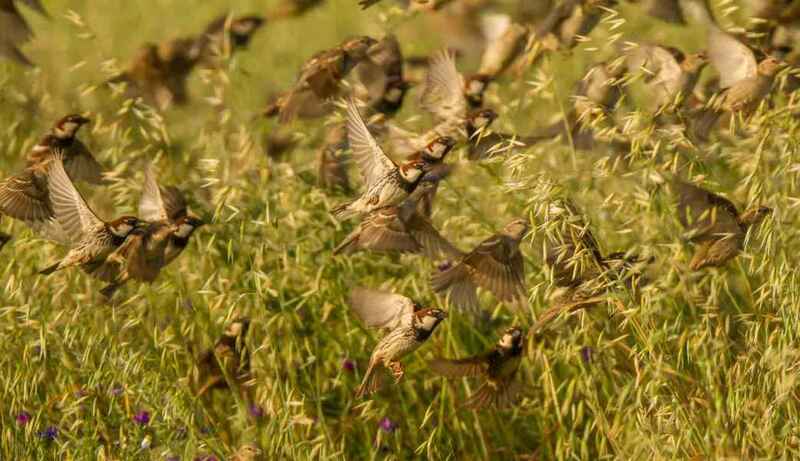 Where the species nests as a woodland-based colony they can appear in vast numbers and have a detrimental effect on nearby cereal crops.